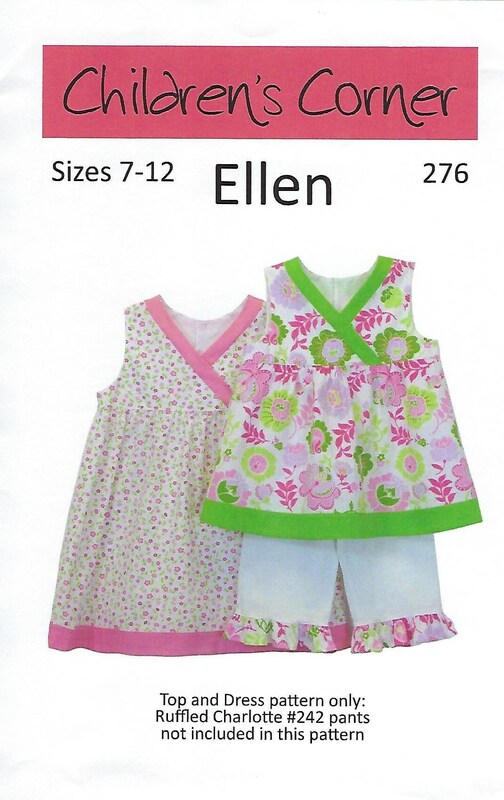 ELLEN is a pattern for a girl's sundress, jumper, or tunic. 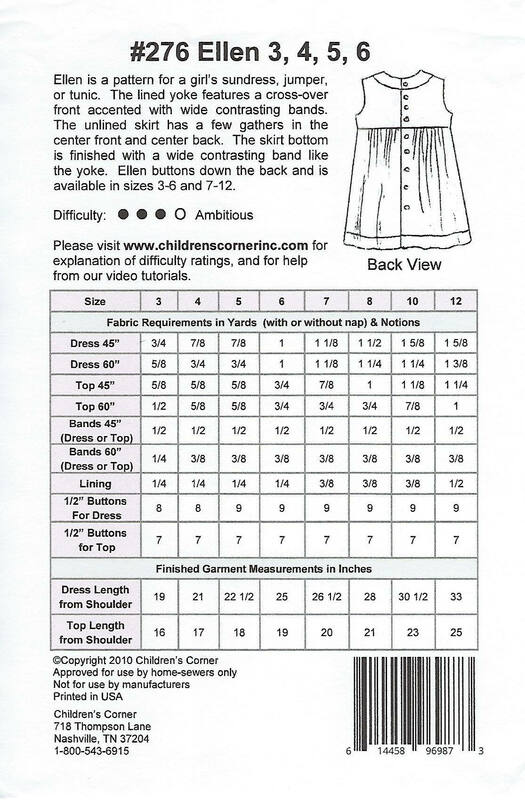 The lined yoke features a cross-over front accented with wide contrasting bands. 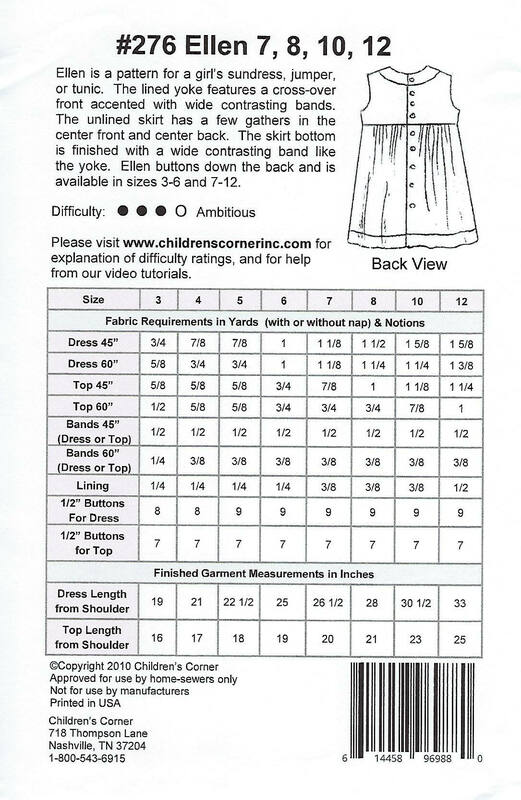 The unlined skirt has a few gathers in the center front and center back. The skirt bottom is finished with a wide contrasting band like the yoke. ELLEN buttons down the back. 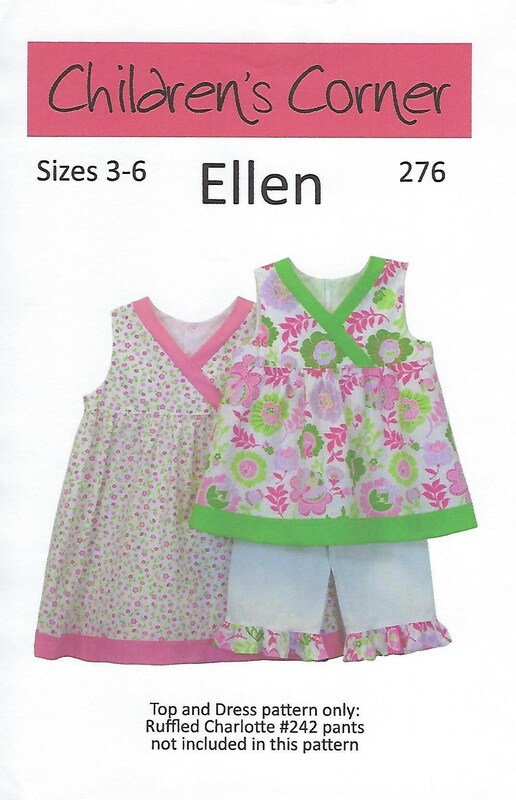 NOTE: RUFFLED PANTS SHOWN IN LISTING PHOTOS IS CHILDREN'S CORNER PATTERN - CHARLOTTE #242 - SOLD SEPARATELY.